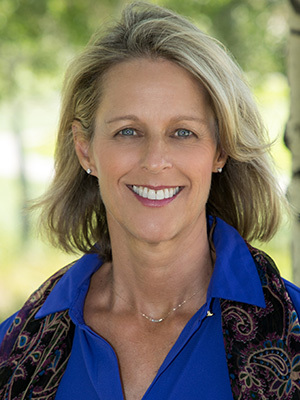 Allison Navarro has worked with Navarro Lowrey managing and leasing Brookside Park, the Company's Class "A" office building along the Eagle River near Vail, Colorado. She now joins the Navarro Lowrey Vail Valley Team as the Company's broker for all Colorado residential and commercial transactions. Allison has lived in the Valley for over 30 years, raising her children and actively supporting important community initiatives. Licensed in the State of Colorado as a managing broker, Allison specializes in residential sales, commercial leasing and sustainable development. Among her most recent professional accomplishments was the management and development of 306 Legacy Trail in the Cordillera Valley Club, the first LEED® Gold certified home in Eagle County. Her industry knowledge and familiarity with the local, mountain lifestyle ideally qualifies Allison to lead Navarro Lowrey's brokerage activities in the Vail Valley. Allison graduated from University of North Carolina-Chapel Hill in 1980 and has earned her GRI (Graduate Realtor Institute) designation.